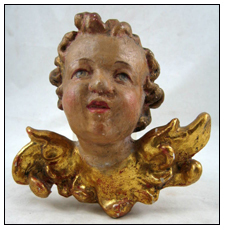 **Remember: Imitation Gold Leaf and Silver Leaf must be sealed or will tarnish! 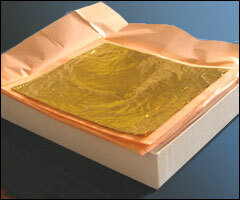 **Remember: Gold imitation leaf must be sealed or will tarnish! Please call (718) 815-8802 for prices. for narrow borders, pinstripes and gilding walls and ceilings. Rolls are great for ceilings & walls. 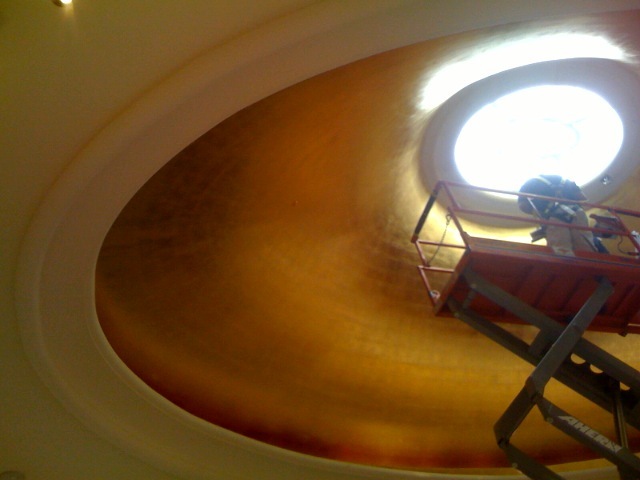 Gild a wall or ceiling like the professionals do using a master roll! All imitation rolls when applied to walls will have a grid effect. 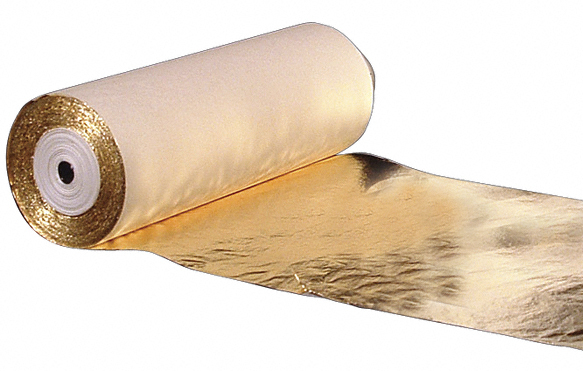 (imitation goldleaf rolls come in color 2.5, a bright brassy color). (imitation gold and silver need to be sealed or they will tarnish). Master Roll 152mm Covers 82 sq.ft. Great for tole & stenciling! NEW! 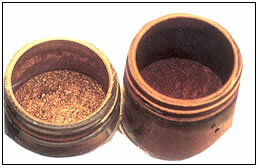 Mica powders are particles coated with titanium dioxide and/or iron oxide. They are environmentally safe, non-toxic, non-tarnishing and universal. 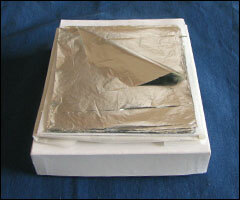 Mica powders can be added to varnishes, shellacs, acrylics for painting and glazing. 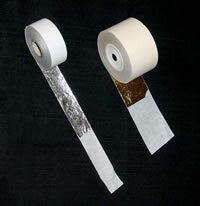 Mica powder can also be flash gilded directly on a sized surface. For decorative purposes only and NOT for use with cosmetics. 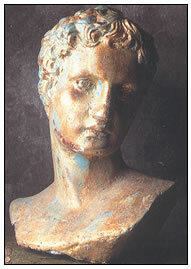 Note: Mica powders have an iridescent look, not a goldleaf shine. 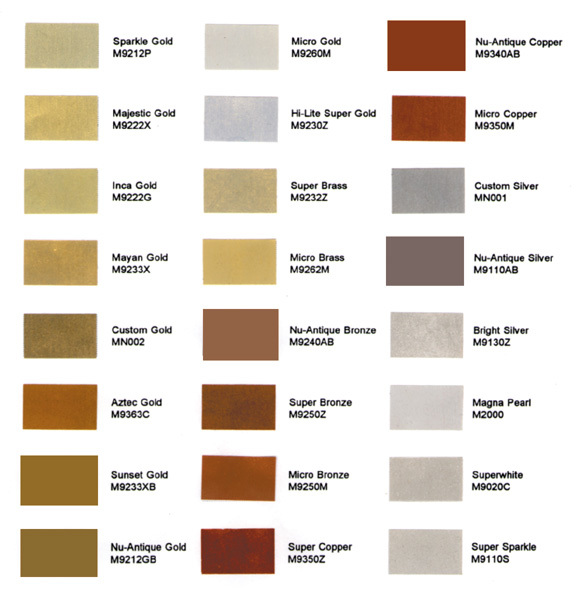 Click here for a mica powder chart. Please review this before placing your order. Please note: Mica Powders don't tarnish.